Category: Books, Self Help & Personal Development, Spiritual Thought and Practice Tags: Divine Love, NDEs, near-death experience, parapsychology, Positivity, Transforational. How the Messages of NDEs Positively Impact the World. 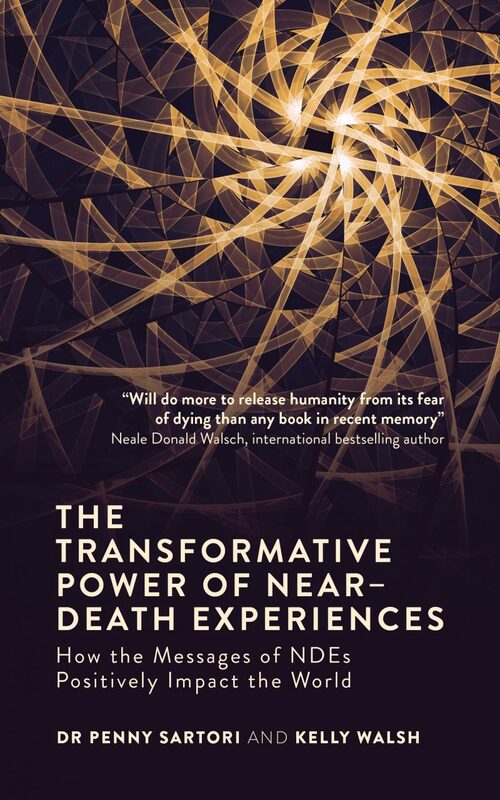 Near-death experiences (NDEs) are often transformative, not only on an individual level, but on a collective level too. This book contains a selection of inspiring stories from ordinary people who have had extraordinary experiences that have changed the course of their lives and opened each and every one of them to the power of divine love. Recent years have seen a dramatic change of attitude towards NDEs. Unfortunately, the ongoing debates about NDEs have detracted greatly from the very important transformational effects that NDEs have and how empowering they can be for the whole of mankind. The NDE instils knowledge in those who experience it that we are all interconnected and part of one great whole. This book aims to inspire people from all walks of life, creeds, cultures and faiths to the transformational power of the message of NDEs and show how the love experienced during the NDE has the capacity to heal minds, bodies and souls.